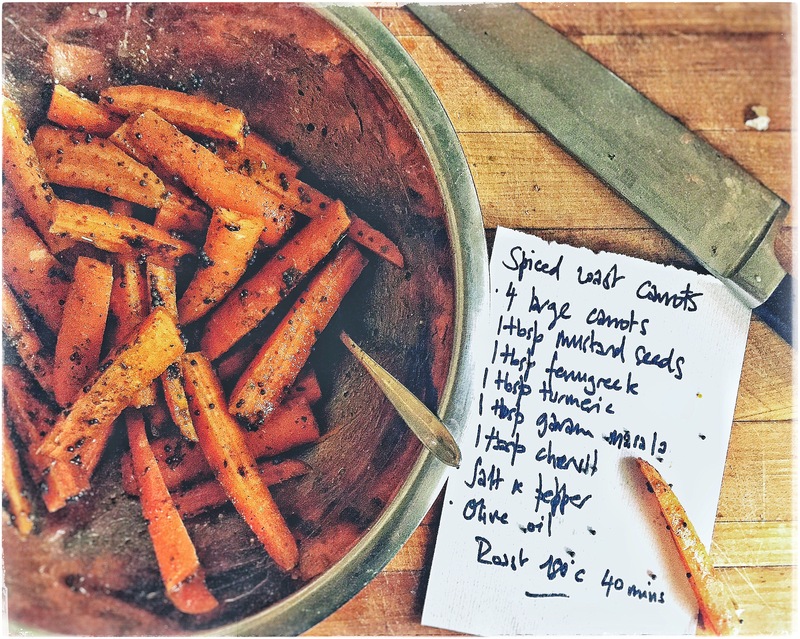 If you’re getting a bit fed up of sweet potato fries, or are avoiding potatoes in general, these carrots are a great alternative. I’d choose them over fries nine times out of ten anyway, they’re so good. I’d love to have a Josper grill at home, just so i could call these Josper Carrots, but that would be a step too far. I’ve made them many times before, each time just throwing in what spices took my fancy. This time, I just used the ones left out from last night’s curry. Use what you feel like, and to be honest, they also taste great with bought curry powder. PS: Love the photo, too.